A special range of small engines with R&D, design and manufacturing done “in house to give maximum flexibility for various special applications and customizations. Through this process and through Indian trade bird we are producing more consistent and satisfactory results. We connect suppliers and buyers from thousands of industries all over the world and help them create new business partnerships and generate millions of dollars in sales every year. Pai Kane Group is a leading manufacturer of Power Generator sets catering to the needs of industries, commercial establishments and residential users. We have over 20 years of experience in the field of Manufacturing/Engineering/Commissioning support in Power Generation. Our current manufacturing capacity for Generator sets is 15000 units per year, with a range from 5 kVA to 3000 kVA. we are india's reputed mfg brand for biogas/lpg/png/cng gas generators upto 150 kva output rating. Autopower Gen Systems Pvt. Ltd.
- High Durability rugged design with extended maintenance intervals. - High efficiency using Lean-Burn technology. 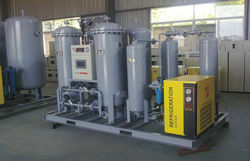 To meet the precise requirement of the clients, we are providing a wide gamut of 62.5 KVA PNG Generator. Green Power International Pvt Ltd.